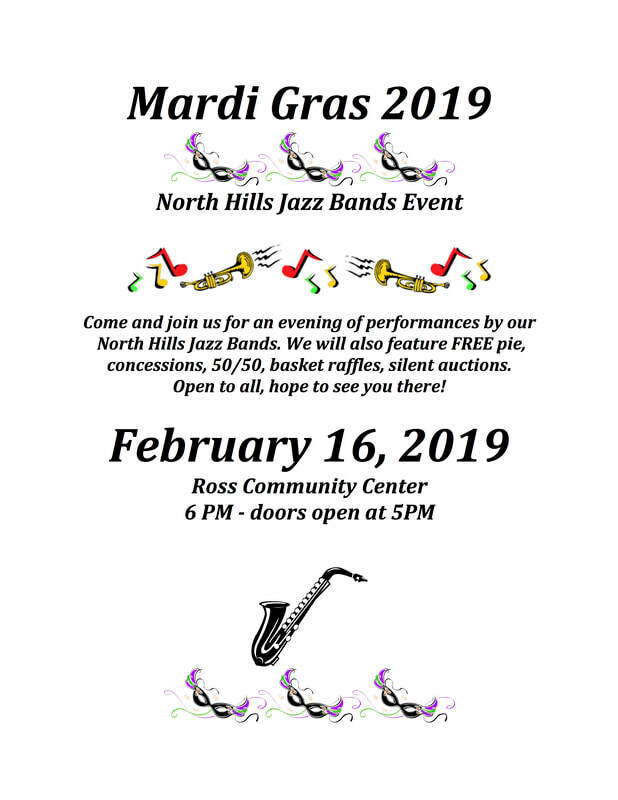 Mardi Gras - North Hills Instrumental Music"Pride, Tradition and Excellence"
The North Hills Jazz Band's 2019 MARDI GRAS! Mardi Gras is an annual fun-filled evening event featuring music, basket raffles, silent auctions, food concessions, and PIE!! This event showcases our jazz bands for an evening of great music. We'll have a 50/50 drawing, and raffle baskets of many themes will be auctioned. See you at the Mardi Gras!